I cannot believe I am writing about curriculum choices for my oldest’s last year of middle school! *gasp* Next year he will officially be in high school. This past year he has grown over 6 inches, lost almost 15lbs and looks more like a young man than my little boy! In fact, we almost look eye-to-eye these days and realize just how fleeting these moments are and how soon he will be off to college. Once our children enter middle school, we become a bit more focused in our homeschooling, rather than eclectic. 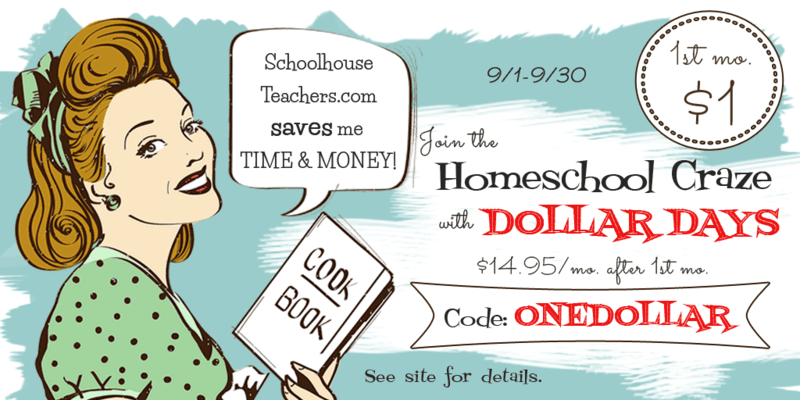 We still do not follow a specific homeschool method, but rather take our cues from the student. Several years ago we started asking him what subject(s) he was most interested in studying. Even though we may not give in to his requests, we do take them in to account and try to work them in to the curriculum. 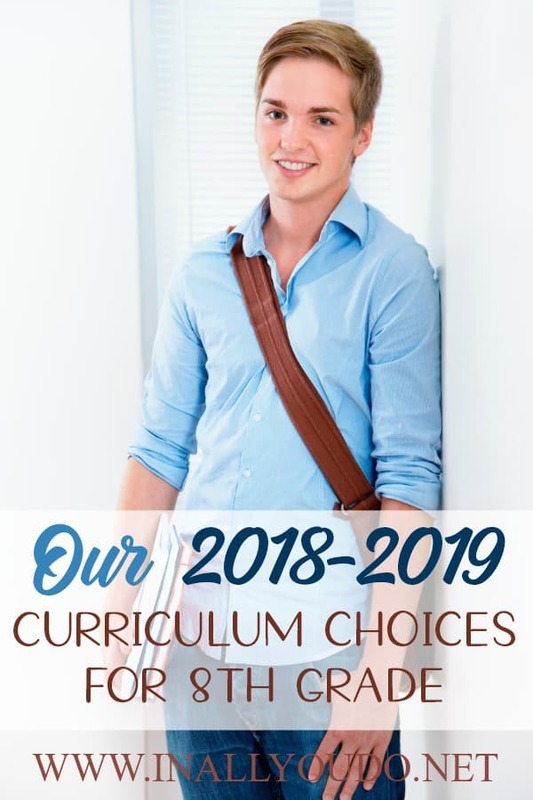 Asking and involving our son in the decision making process for his new homeschool curriculum has become one of my favorite parts of the new school year. I love hearing what he’s interested in studying, what his latest passions are and helping him find curriculum and resources to learn more! 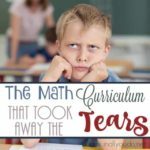 Several years ago we switched to our now favorite math curriculum. We use CTCMath for all of our children. My son is very good and advanced in math, so I knew we needed a curriculum that would not only keep up with him, but also challenge him. This year, he is finishing up the last month of Geometry, since we had to stop homeschooling unexpectedly with the arrival of baby #6. After he finishes up Geometry, he will start Algebra 2 and we should easily complete it by the end of May 2019. This is the first year we are officially using a writing curriculum and I couldn’t be more excited! I have researched and talked to so many different homeschool moms on what they love, hate, strongly dislike and what they recommend and why. 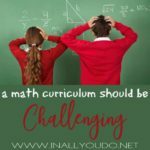 I don’t know if you know this or not, but homeschool moms can be very opinionated when it comes to curriculum. After reading through all the research and listening to all the recommendations, I think I’ve finally found a curriculum that will work well with my son. I needed a curriculum that was more or less self-paced. I needed a curriculum that wouldn’t bore him to death. And I needed a curriculum that would challenge him. I think that curriculum is IEW – The Institute for Excellence in Writing. 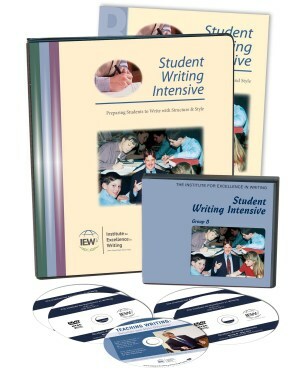 We will be using the Student Writing Intensive DVD Course: Level B this year and it is quite possible he will be finished before Christmas. Even though he has never done an official writing curriculum, we have worked on grammar and proper sentence and paragraph structure. So I feel fairly confident that he will be able to jump right in and do well with this curriculum. Last year was the first year we used a formal history curriculum, and I cannot say enough good things about Notgrass. My son loved reading the lessons and learning more about our government. He would easily complete the daily questions and was usually done within an hour (at most). Since he did so well with the curriculum last year, we decided to stick with it and just choose the next topic. 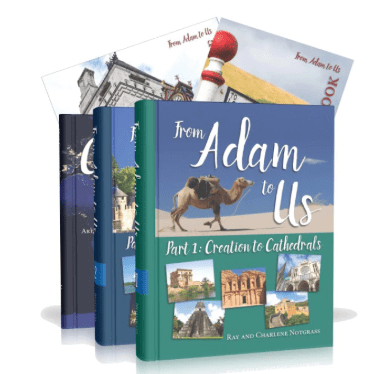 So, this year we will be working through From Adam to Us by Notgrass. 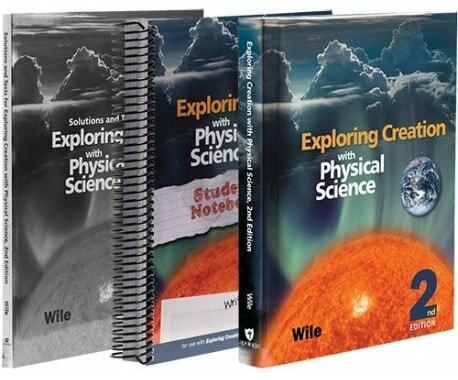 We have both textbook parts (1 & 2), Map Book, Timeline book, the Lesson Review and Answer Key. We do not purchase the extra literature books for various reasons, but we will occasionally take a trip to the library to borrow a book or two from the list. He absolutely loved his lessons last year, so I can’t wait to see if he enjoys this one too! My husband is a pastor, so most people assume we have this subject covered. Well…yes and no. Once our children can read on their own and we know they understand and comprehend what they’re reading, we do encourage them to read their Bible daily. We also choose to teach our children from a Biblical Worldview, but do they actually know what that means? That’s where our curriculum of choice comes in – Apologia’s What We Believe series. Last year he complete the first book in the series, Who is God?, so this year he will be working through Who am I? (And what am I doing here) using the textbook and notebooking journal. I love this series for several reasons. First, my son can work through it independently. I typically have him read and complete the lessons on his own, but read through his answers in the notebooking journal, so I can discuss them with him and correct and/or answer any additional questions he may have. Second, they have the daily lessons laid out for you already! This is huge for my son, because he will gladly follow someone else’s plans without question, but when I make plans for him, he complains about the workload. This makes it easy to “pass the buck” and he willingly takes it! We tried a different science curriculum last year and really enjoyed it, but there were no higher levels, so…we’re moving back to Apologia. We used Apologia with him when he was younger and enjoyed it, so I am excited to be using it again. Even though he is above level in math and would qualify for a more advanced science, this year he will be doing their Physical Science. We will be using the textbook, student notebook, and solutions and tests. He does not like to listen to audio CDs, so we do not purchase those, although they are available. He really wanted to jump to Biology, but we felt it was important to get one more year of foundational learning under his belt. I did, however, tell him that he can go as fast as he wants through the curriculum, doing more work each day and complete it sooner…so we’ll see what happens. As we approach high school, I realized my son needs to work on his vocabulary. While he has always spoken well, it doesn’t make it in to his writing. I don’t mind that he doesn’t speak “scholarly” in his daily conversations, but I do want his papers to be well written. What I am more concerned with, is their vocabulary. I remember working in the Learning Center at college and reading papers with such shallow words and meanings. 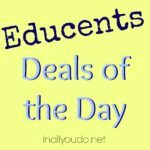 I want them to know and understand how to speak (and write) intelligently, so this year we are changing things up a bit and using the Daily Skill Building Vocabulary created by my good friend, Carrie from Homeschool Giveaways. Ya’ll…I am totally impressed and in love with this curriculum! My oldest is using Volume III in this series, which is for middle school ages. Each day the student is responsible for writing the definition of the assigned word (uh…handwriting). Then they are to write a sentence using the word (hello, grammar) and finally they are to find and write 3 synonyms and 3 antonyms for the word. I love that this is also a very simple curriculum that should be no problem for the student to work on independently! This is actually the first year my son will officially take a foreign language. And I’m so excited that I found Latin among the classes for 8th grade on Schoolhouse Teachers! We usually take advantage of a couple of their classes throughout the year for all of our children and this year I’m so excited for him to take Latin I!! In fact, I took Latin in 8th grade, but since it’s been a few years, I might just take it with him as a refresher! Why Latin? Latin is the basis of most languages around the world. So I figure if he can learn latin roots, other languages will be just that much easier for him to grasp! This is a 24-lesson course and includes both downloadable lesson plan file and video lessons. It is designed as a 5-day/week course. I hear good things about this teacher and I can’t wait to dive in to the lessons together! We have been members of Skill Trek since last year, but honestly…I had forgotten all about it! 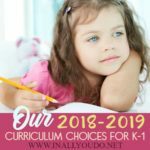 (I know…bad homeschool mom) But this year, we are trying more and more to be intentional with our children’s learning new skills and that’s where Skill Trek comes in. Skill Trek is perfect for kids who love to learn, but may need a little guidance and push. The Skill Trek system allows kids to learn new tasks appropriate for their own age. You can go through and assign them tasks to learn based on your family lifestyle (feed a baby a bottle), current curriculum (what is an eclipse?) and tasks they will need to know in the future (changing a car tire). Simply add these tasks to the Active Tasks area for each child. From there, they can click on each title to view the lesson and/or video, then complete the task. I find this a great way to track new tasks my kids complete and it helps us be more intentional in teaching them “real world” experiences and not just facts from a book.